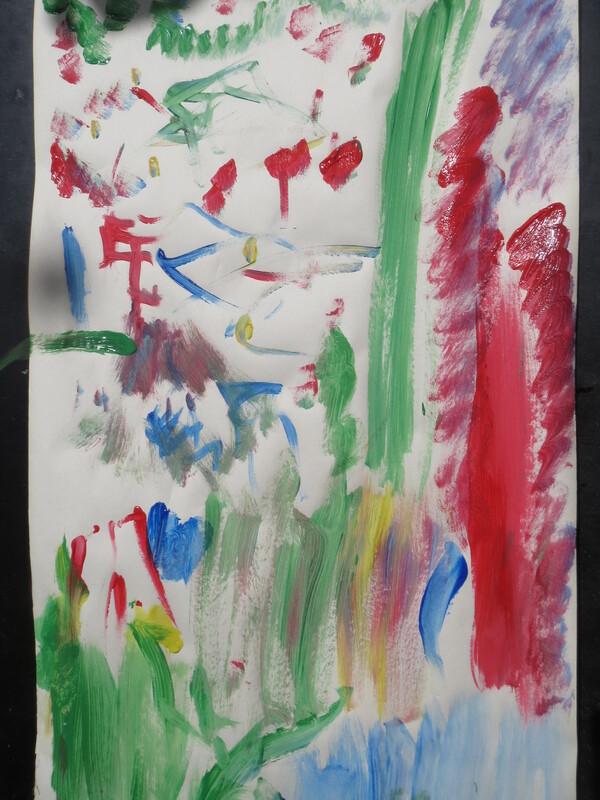 Kathleen Rea’s post on getting messy with the paints inspired our first ever Fearse Family painting session today. 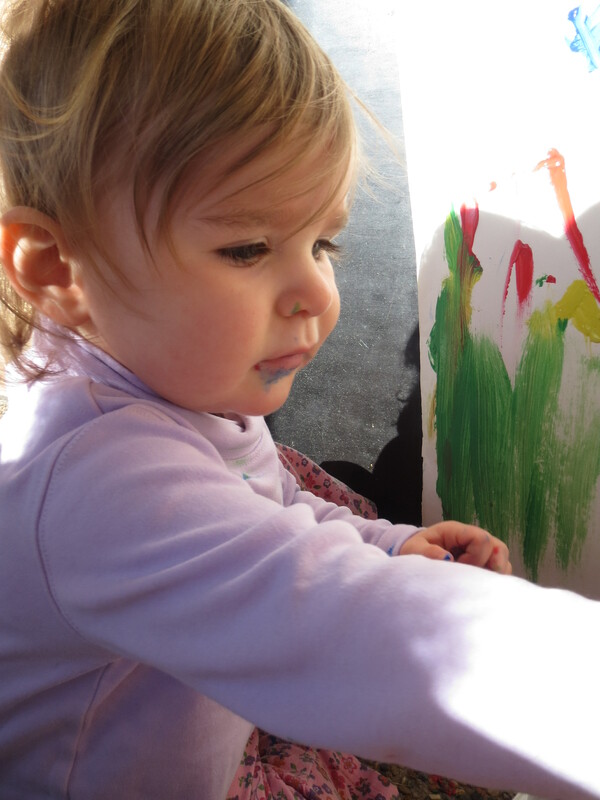 Little Fearse is only 15 months old, so we knew there was a good chance we’d be doing most of the painting and she’d do a fair bit of paint eating. We were right, but it was more fun and easier than BP and I had thought it would be. Here is our first Fearse Family masterpiece. We hope to have many more in years to come (with much more input from Little Fearse herself!). 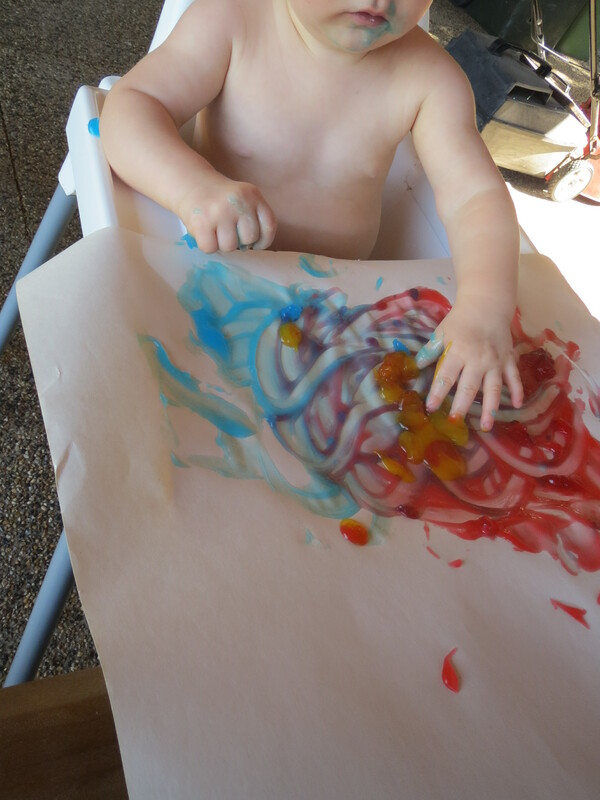 Edible finger paint. Mmm. Sure, not the absolute best thing for Little Fearse to be eating, but boy we had fun.